As soon as the cooler temperatures start to make an appearance I start getting in the mood to decorate for Halloween. 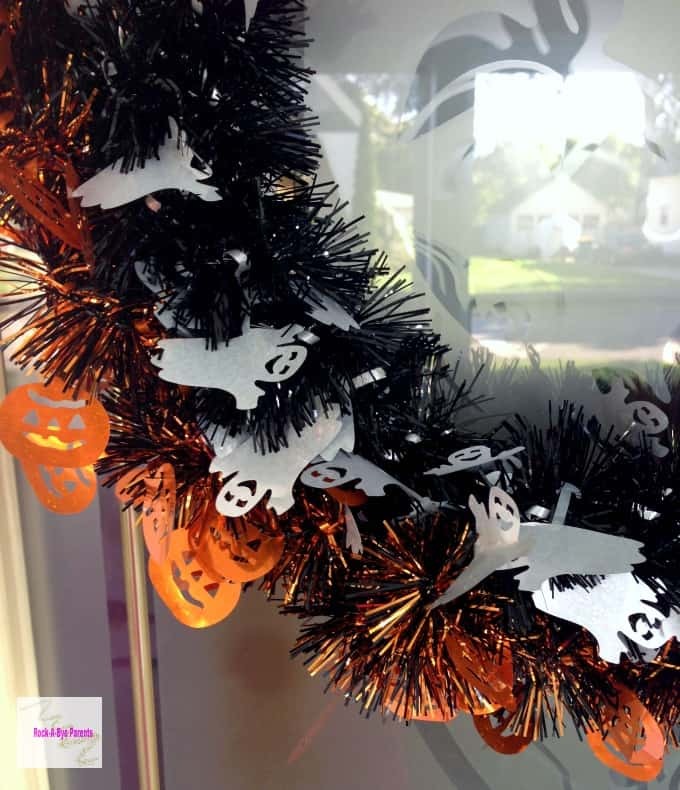 A great way to give your front door a fun spooky look is with this easy DIY Halloween Tinsel Wreath. 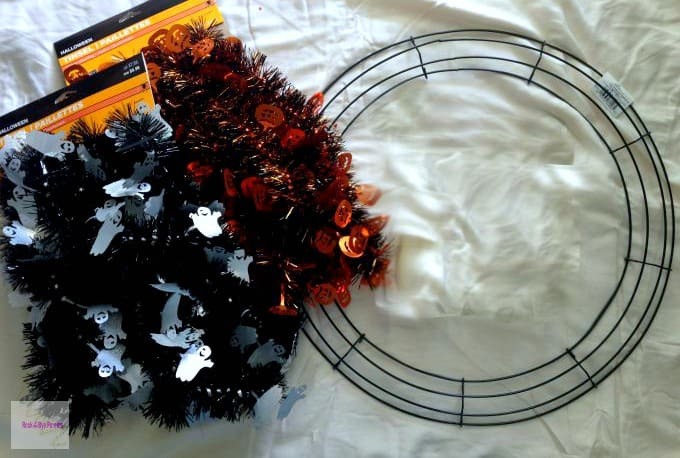 Years ago I had a Halloween tinsel wreath that I had bought. I had gotten it my first year of college and it proudly hung in my dorm room and I continued to decorate with it for years. Our last home was part of a co-op and one of those rules was that by mid October we had to change the screen on the storm door to the glass cover. That door faced east. When the glass cover was on and the sun was shining the space between the screen and the main door could create a lot of heat. Do you see where this story is going? At the start of every October I would hang my Halloween tinsel wreath on that door. Years of hanging in that heat ended up ruining my last wreath. The extreme heat melted the tinsel and eventually pieces of it would fall off every time I touched it. I kept it as long as I could, but I eventually had to throw it away. 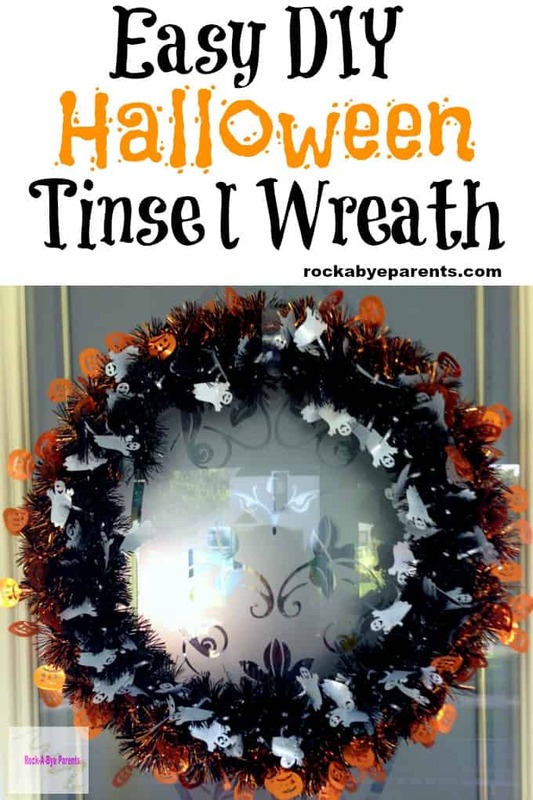 I had really loved that Halloween tinsel wreath, and I was so sad over its loss. After being without it on my new front door for a few years I decided that it needed to be replaced. This time I decided that I would make it myself, and to spice things up I went with two different types of tinsel garland. I love how it turned out, and now I can’t wait to get out the other Halloween decorations as well! I originally bought all of the supplies to make this wreath at Michael’s. Sadly it’s not always easy to find the products on Michael’s website that you find in their stores. 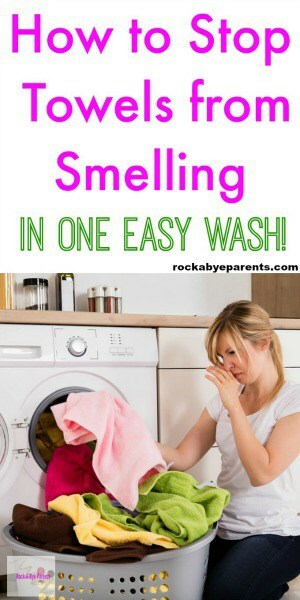 I have found similar products on Amazon that you can use. The garland strands are only slightly different than the ones I used (mostly in size, not sure how I found ones that were 12ft because they don’t seem to exist in online searches!). The look of the garland is slightly different as well since I can no longer find the exact brand I used, but the ones I have linked to are very similar. I have really gotten into making wreaths over the last few years, and I have to say this is the easiest one I’ve ever made. It also takes very little time to make. In fact it could probably be made in a little over a half hour. It took me longer to drive to the store and buy the supplies! You’re going to start by working on the outside are of the wreath. For my wreath that meant I was working with the pumpkin tinsel garland. 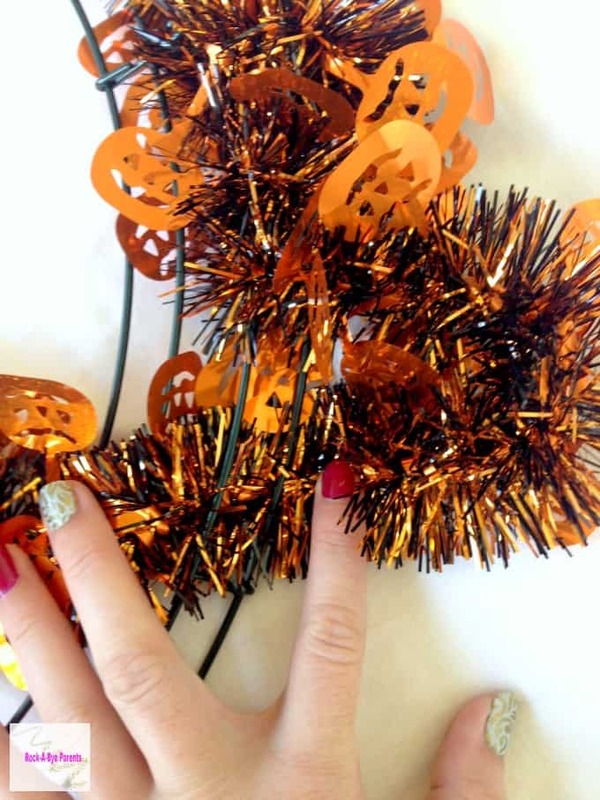 You start by threading the pumpkin tinsel garland around the outer two rungs of the wreath. Weave it over and under. Continue to do this until you are out of tinsel. I even continued to weave the tinsel over other tinsel until I had used everything up. That way I didn’t have to trim it and worry about the tinsel unraveling. For the weave you want a weave that’s tight enough to keep everything in place, but loose enough that the garland doesn’t look pinched. If you need two strands of each type of tinsel garland than just start weaving a new strand a little bit before where the first one ended. If you are using the 9ft garland than you will also want to trim it at some point since that will be a lot of extra garland. After cutting it I would put a little glue on the end to keep the garland from falling apart. 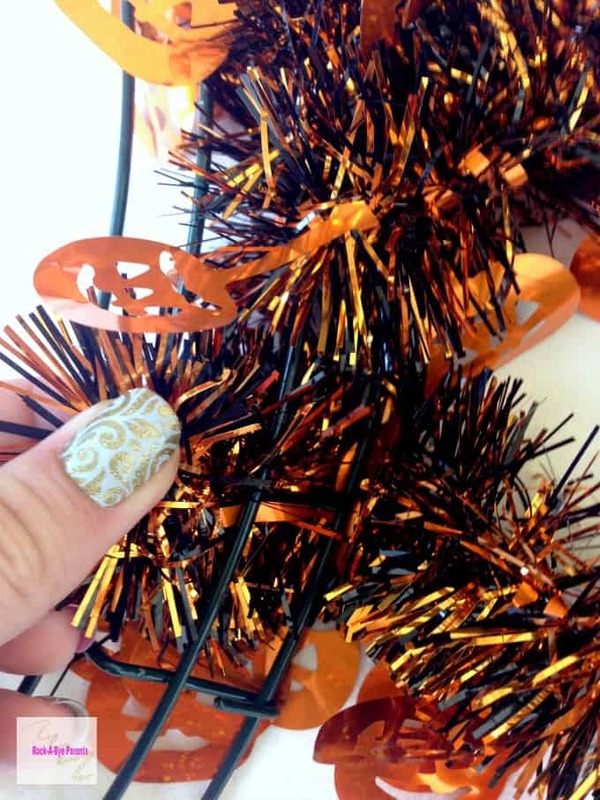 Once you’ve finished with the pumpkin tinsel garland it’s time to add the ghost tinsel garland. 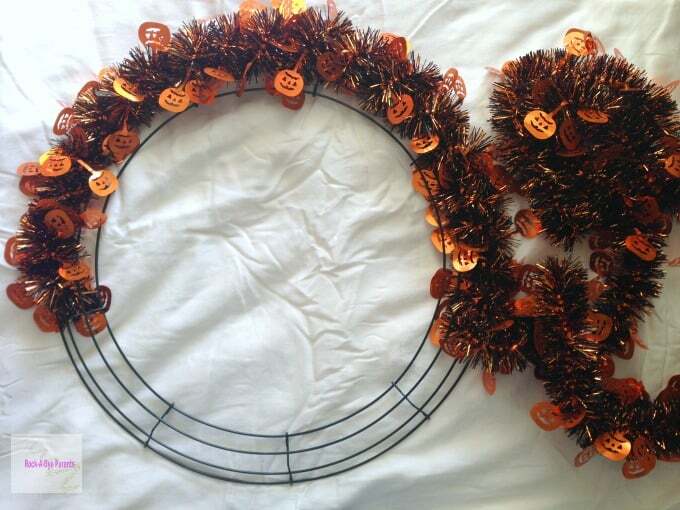 Start by weaving it over and under the bottom two rungs of the wire wreath. These are the exact same steps you did before but on the inner part of the wreath. This part can be a little trickier since the outer tinsel can sometimes get in the way. I accidentally pulled the end of the garland off the strand while pulling it through. Luckily I was able to easily hide that. It really isn’t difficult to add the inner garland as long as you’re paying attention. That’s it! 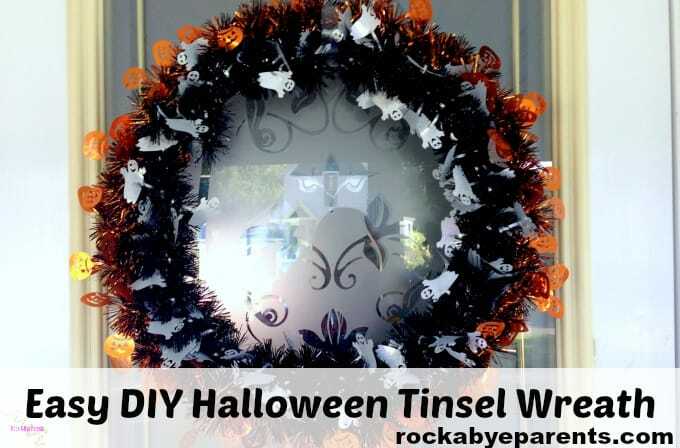 This tinsel wreath is so easy to make. You could easily do this while watching your favorite T.V. show. You likely would be done with your wreath about the same time that the T.V. show is. I can’t wait for October to get here so I can hang mine on the door! What a fast fun wreath, I love easy. Cute Halloween Wreath! And you nails are super cute, too!! I love this DIY! I think I’m going to try this. I’m pretty sure my boys would love it. I love easy decor and this is inexpensive too! 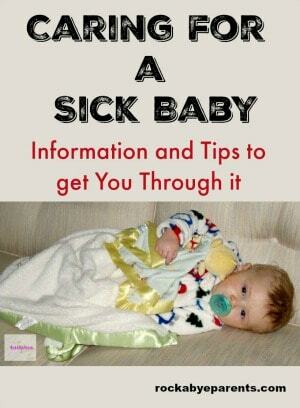 Hope you can share it on the Halloween Spooktacular Link Party too. That looks AMAZING!! Halloween is my FAVOURITE holiday <3 I absolutely love it!! This is such a cute wreath! 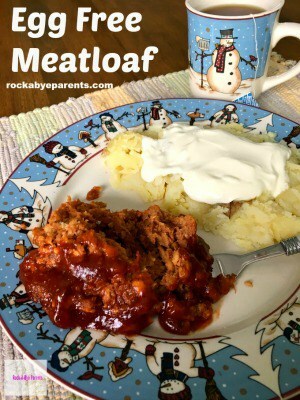 That looks pretty easy – and it comes out looking awesome! I love the images. 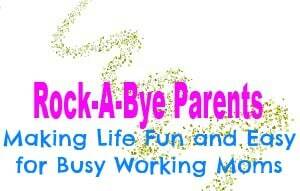 Such a fun crafty activity that I will try with my child. I also like your jamberry nails in one of the photos.